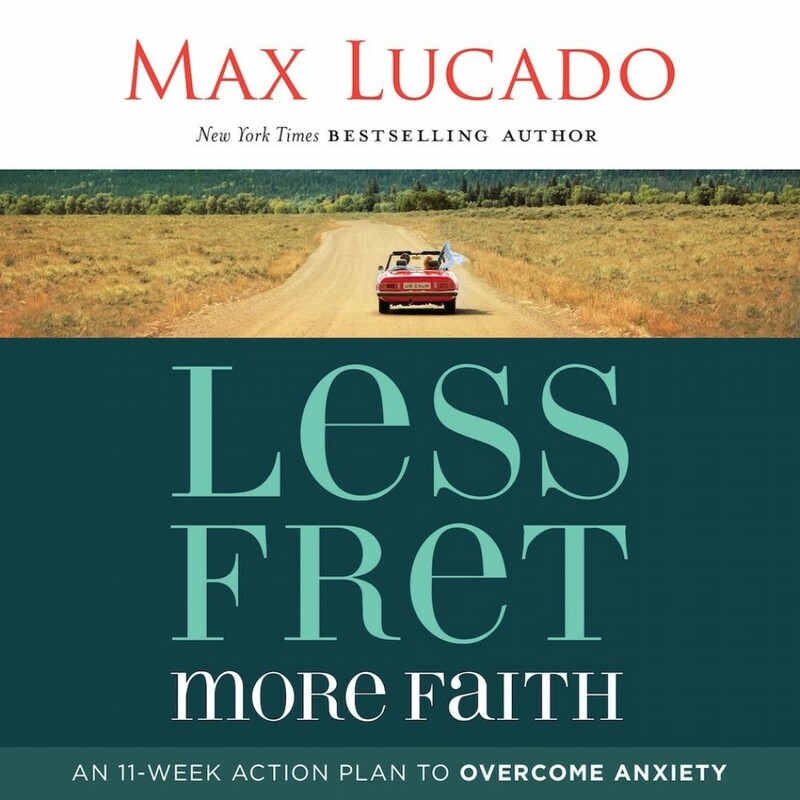 Less Fret, More Faith | Max Lucado | Audiobook Download - Christian audiobooks. Try us free. According to one research program, anxiety-related issues are the number one mental health problem among women and are second only to alcohol and drug abuse among men. Stress-related ailments cost the nation $300 billion every year in medical bills and lost productivity. And use of sedative drugs like Xanax and Valium have skyrocketed in the last 15 years. Even students are feeling it. One psychologist reports that the average high school kid today has the same level of anxiety as the average psychiatric patient in the early 1950s. Chances are, you or someone you know seriously struggles with anxiety. This booklet includes a passage from the book, Anxious for Nothing, by New York Times bestselling author Max Lucado. The small trim and low price point make this booklet easy to share with friends and family who are struggling with anxiety and need a fresh perspective on how to face it.